Perhaps the only surprise is that each has reached this point ahead of schedule. 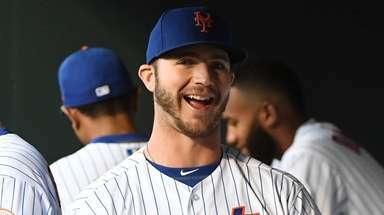 At least, that's the vibe going into Game 1 of the National League Championship Series at Citi Field Saturday night, when two of the youngest, most talented teams begin facing off for the pennant. The Mets and Cubs reached the brink of the World Series by following divergent philosophies. For much of the offseason, with the Cubs stocked with bats and the Mets with arms, the organizations were linked as potential trade partners. Nothing materialized, though neither club has any regrets. The Cubs staked their renaissance on transformational bats such as Kris Bryant, 23, and Anthony Rizzo, 26, who totaled 57 homers and 200 RBIs. Perhaps no two players better represent the kind of offensive firepower the Cubs have amassed under club president Theo Epstein. 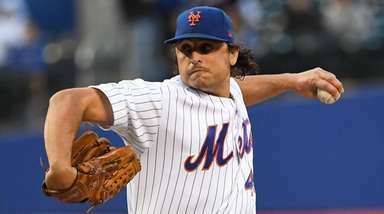 The Mets, meanwhile, bet their future on a collection of arms who have further distinguished themselves in the playoffs. Those riches will be on display in the best-of-seven NLCS as manager Terry Collins runs out four pitchers whose fastballs sit in the mid-90s or above. Though Syndergaard, 22, pitched only one inning out of the bullpen in Thursday night's clinching Game 5 in the NLDS against the Dodgers, he warmed up several times in the bullpen as Jacob deGrom fought off trouble through six excruciating innings. If Syndergaard isn't ready to go, Long Island lefty Steven Matz could make the Game 2 start against Jake Arrieta. The Cubs' ace and 22-game winner emerged with the victory in his previous two starts against the Mets, surrendering two earned runs in 16 innings. 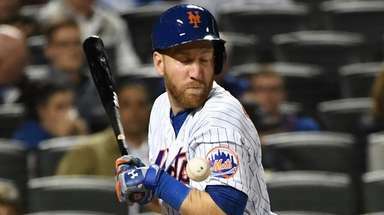 The Mets dropped all seven games against the Cubs during the regular season. 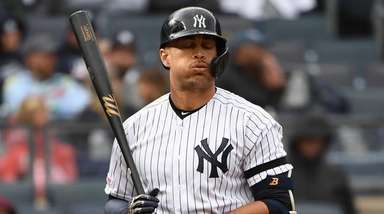 In those meetings, the last of which was July 2, the Mets were outscored 27-11.